Keji is a 6 year old Border Collie Cross - an All Canadian. 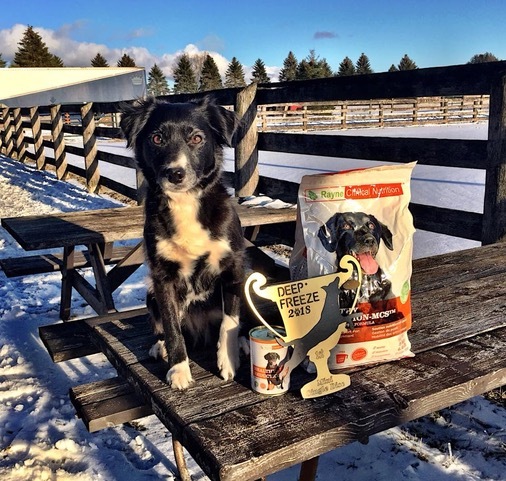 Last weekend she won the Mini Single Disc Division at the Deep Freeze Disc Trial with her handler Kim Young throwing for her. She was very happy to win some Healthy Reduction as this is the food that she is fed. She is a very active competitive sport dog and she is kept lean and well conditioned! Nutrition is the key to that! Big Thank You to Rayne for sponsoring this great event.